In college I took a class on Islamic Art & Literature at least in part because it sounded exotic and interesting. (To be honest, it was more because it fulfilled two requirements and allowed me to graduate on time.) The Alhambra in Granada, Spain was one of the examples of moorish architecture we looked at, so I made a point of traveling down to the sleepy little town to have a look. It was well worth the trip. Check out the scenic nearby city of Granada. 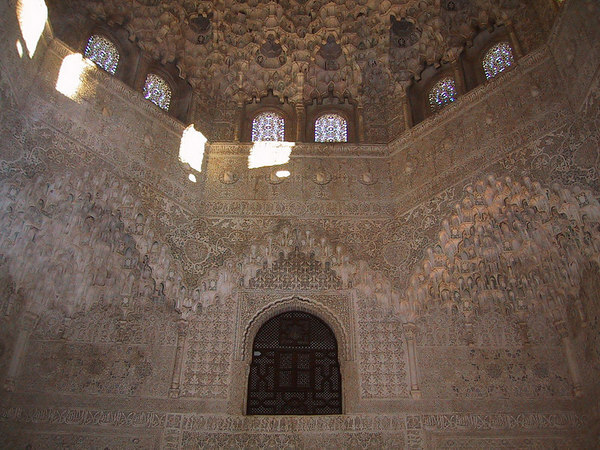 It is said that the moorish style of fortresses like the Alhambra influenced the style of Antoni Gaudi's Architecture, visit my gallery and decide for yourself.